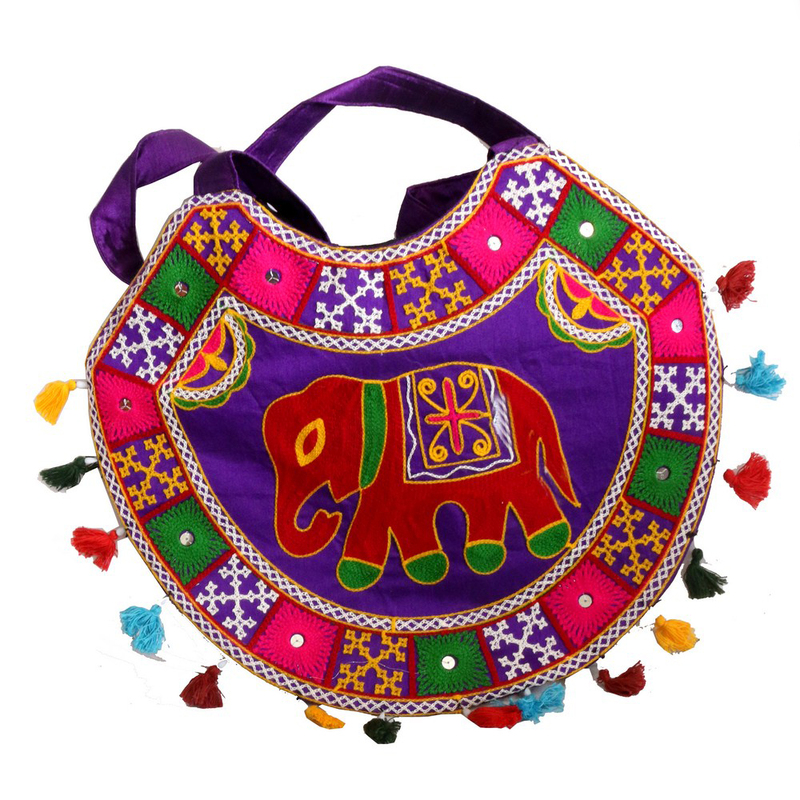 With a unique shape, this Rajsi bag in multicolored designs is suitable for all days and purposes. It has a purple colored base engulfed with Read More..colorful prints and a dainty elephant embroidery supporting the setting. It has attractive pom-poms all around its exterior giving the handle bag an ethnic and traditional outlook. Show Less..